Hydrogen sulfide (H2S) is a colorless gas that occurs in crude oil and natural gas. H2S is poisonous, corrosive, flammable and explosive. It can be removed from oil and gas by scavengers, hydrodesulfurization, activated carbon filtration or reaction with iron oxide. 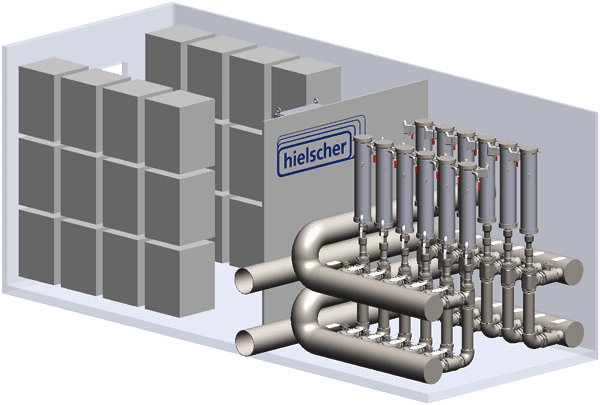 Hielscher ultrasonic reactors assist the phase-transfer-reaction with H2S scavengers. A commonly used method for the removal of Hydrogen sulfide is the stripping with scavengers, such as Triazine compounds. Hexahydro-1,3,5-tris(hydroxyethyl)-s-triazine (also known as MEA triazine or HHTT) is a triazine-based additive. This water-soluble scavenger compound reacts with the H2S from the surrounding oil phase at its phase boundary layer to monoethanolamine (MEA) and dithiazine. This is a phase-transfer reaction and requires sophisticated mixing/blending with the oil phase. Without proper mixing triazine-based additives are often used in excess of the levels required. This excess and by-products of the scavenging reaction with hydrogen sulfide, cause corrosion and fouling in downstream equipment. Hielscher ultrasonic mixers improve phase-transfer reaction kinetics in liquid-liquid phase systems. Ultrasonic cavitation produces high hydraulic shear and breaks the scavenger compound into sub-micron and nanosize droplets. This reduction in droplet diameter increases the contact surface between the scavenger and the oil phase and it improves the reaction kinetics. Using ultrasonics, the volume percentage of the scavenger compound can be lower, because finer emulsions need less volume to provide the same contact surface with the oil phase. Breaking the scavenger compound into smaller droplets produces more droplets per gallon, too. A higher number of droplets leads to a smaller distance between individual droplets. 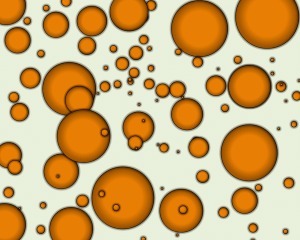 Therefore, more oil is in close proximity to a scavenger droplet. Scavengers are most commonly dosed by the ppm of H2S in the oil. This may result in adding as little as 1 liter of scavenger compound per 1000 liters of oil (1:1000). In case of such a low volumetric ratio, it is more cost efficient to produce a master stream of a higher volumetric ratio (e.g. 1:10) first. This creates small scavenger droplets suspended in the oil phase that can then be diluted in a second stage to the final volumetric ratio required.